Kay channelled this message from The Circle of The Light of The Love Energy during our meditation group on 14 August, 2012. I posted the audio of Kay channelling this message yesterday. 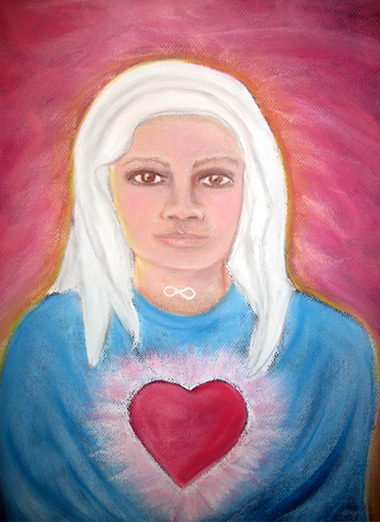 A messenger, I am, from the Circle of the Light of the Love Energy. With wings I come. You know what being I am! Convergence with The Light is what is happening in the universal energy that you exist. The call went out through many channels and it is being answered and at this time on your Earth there is a great increase in the convergence of Light with humankind. More can happen, more is asked for but we thank you greatly for what is happening. The energy of The Light is what is needed to be known as it will bring all that is needed, and we have said this before. But let that energy flow and improve your situation and be those beautiful beings of Light. Hi Peter & Kay I love receiving these messages. Thanks.